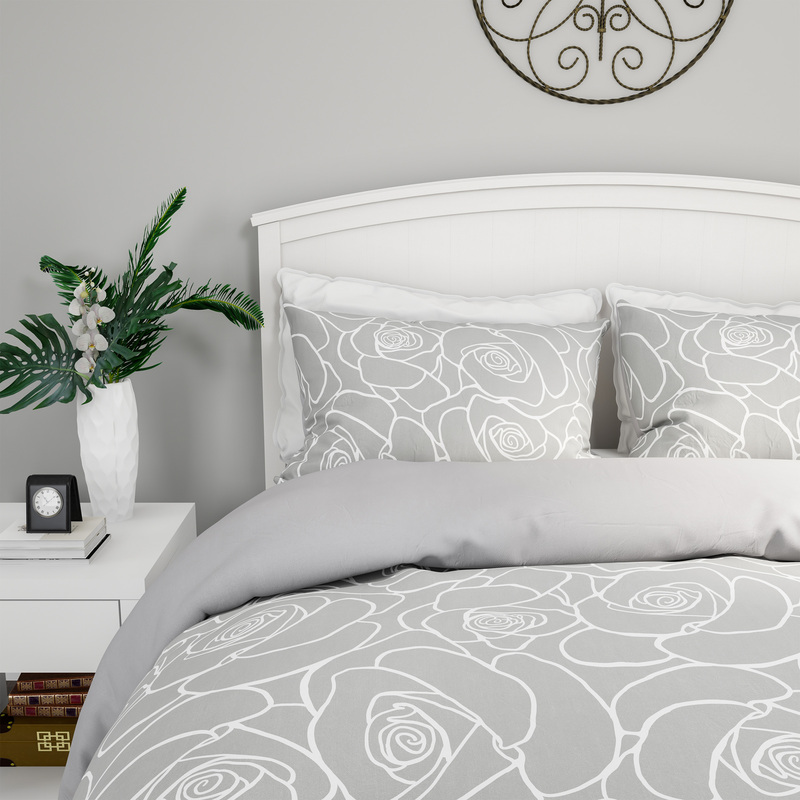 Dress your bed lavishly with the 3-Piece “Bed of Roses” Floral Print Comforter and Bedding Set by LHC. 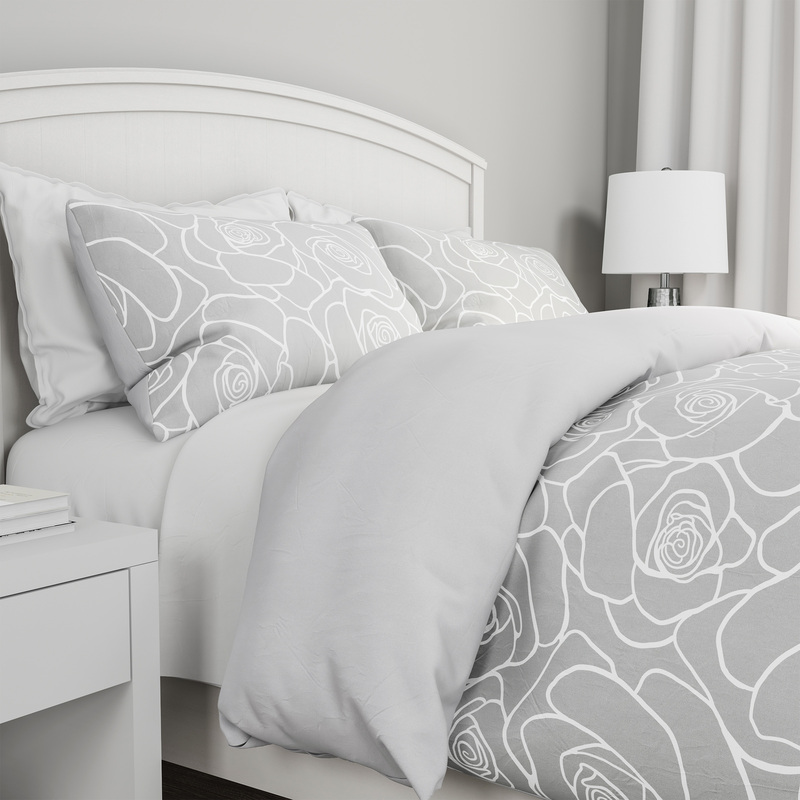 This set features an exclusive design by Heather Dutton with a floral rose line print and soft solid gray on the reverse and includes 2 matching pillow shams. The comforter is made with 100% polyester filling to provide the same warmth and comfort as a down comforter without triggering allergies. The bedspread and shams are breathable and lightweight enough for a cozy experience all year-round and are great for layering with other blankets and bedding. Both the comforter and shams are machine washable to help keep them beautiful and soft, night after night. LHC. Your style, your home. EXCLUSIVE DESIGN- The rose floral and solid color theme print is by Heather Dutton exclusively for LHC. 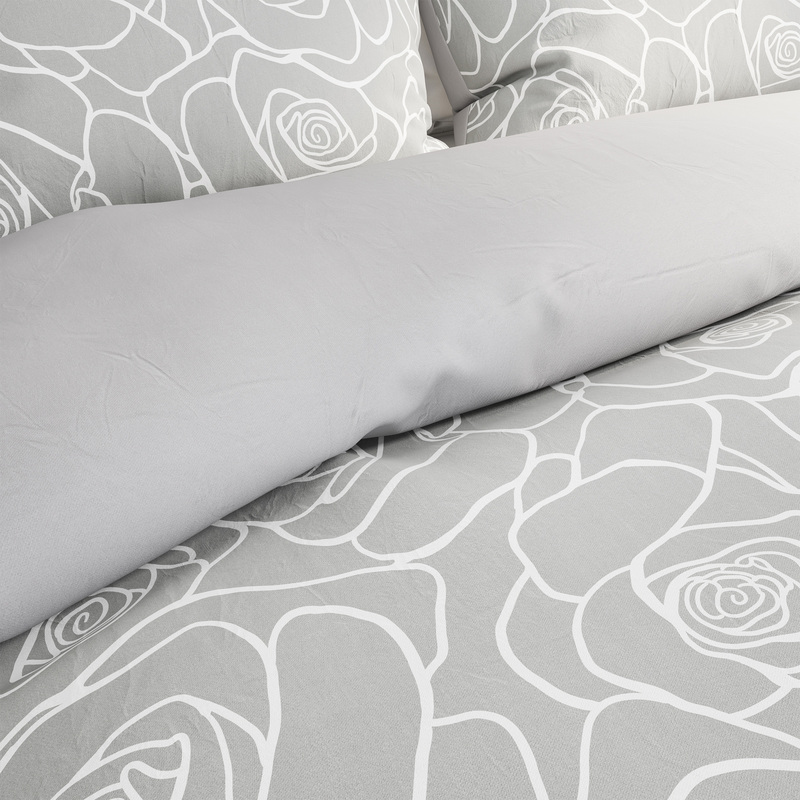 Both the print and soft gray reverse side of the comforter are sure to complement almost any bedroom décor. PRODUCT DETAILS- Materials: 100% 90 GSM Polyester Face with 300 GSM Polyester Filling. Full / Queen Dimensions: 92” L x 92” W. Sham: 30” L x 20” W. Color: Rose Print and Soft Gray. Machine Wash Cold. Do Not Bleach. Tumble Dry Low. Do Not Iron.